Our own research, after examining the results of many “in-depth security audits”, has revealed an alarming number of businesses are not covered against the most simplistic break ins, that previous installation companies have installed systems for the lowest price with little regard for the full protection of the client. We almost always find areas where would-be robbers could enter without being detected, leaving business owners in a state of false belief that they are protected when in fact they are not. Shrinkage from small retailers is nearly one third higher than from the large retailers. One survey found that average shrinkage of 1.6% results in an average loss of profits of 17.8% while another survey stated that without the retail crimes suffered by retailers last year, their overall profits would have been 25% higher. For every theft that is detected, over 46 thefts go undetected. 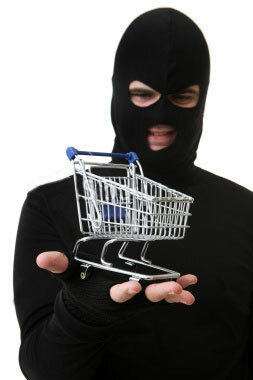 Almost 80% of theft is attributable to customers or staff, with customers accounting for the largest amount. This is also coupled with the fact that staff theft represents a much higher value per incident than thefts committed by customers. Shrinkage is rising dramatically, with some estimates that shrinkage has doubled since 1986.